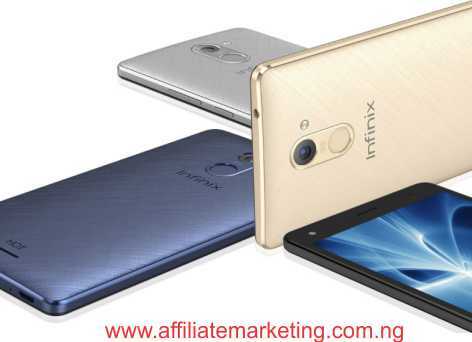 Infinix Hot Pro is an upgrade to the two previous versions of the Infinix Hot 4 series of smartphone - Hot 4 and Hot 4 Lite. This seemingly amazing smartphone was developed late last year to provide users with excitements and optimisation. Adding to the fact that the phone runs on Infnix XOS Chameleon OS, it becomes more productive to for business, social media, communication, gaming, and management. Infinix has been known to wow their users with cutting-edge, top class, and dynamic smartphones with awesome features to wet their thirst while delivering core performance of modern phones. Hot Pro (also known Infinix X556) happens to be one of such phones. It integrates improved security features, performance management, power optimisation, high definition graphics for media display, and a 'heart' for social media enthusiasts. The high-grade power backup ensures that you can talk a long period without the fear of power failure or interruption of any kind. It is indeed a phone you would love to have and use to your thirst. As I earlier stated, this phone comes with wonderful features that make users feel the joy and satisfaction of using smartphones. Let us take a quick look at some of the top features of this phone. Hot 4 Pro comes with excellent camera features tailored for social media lovers and those who find excitement in taking pictures. 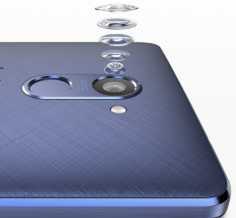 Both the rear and the front camera captures high-quality graphics for both images and video contents. With the rear camera at 13 megapixels, an autofocus feature and a LED flash, capturing quality images becomes fun and even more interesting do with friends and colleagues. The front camera is suitable for those with a gauge for selfies as it captures images of about 5 megapixels. Power has often been considered a core requirement for smartphones. That is why this product has been built to supply the lasting power needed to keep the phone functional for several hours. The 4000mAh battery supplies the device a 660 hours standby power rate, 20 hours talk time on the 3G network and 45 hours on 2G. That is an enormous battery life available at your disposal sufficient to keep you going before the next charge. Hot 4 Pro is not the only phone with such a greater battery strength. There other phones with higher battery rating. For instance, Gionee A1 comes with a battery of 4010mAh. Hot 4 is, however, different. This is because of the various power management features it comes with that automatically handles processes and applications that consume much power. With these power management features, the battery life and strength is excellently optimised to allow users enjoy the device they purchased. For example, the XManager features will notify the user of high power consumption apps and recommend actions that should be to halt the apps. It equally shows statistics of launched applications and the percentage of power they gulp when in the active state. Security is equally a top feature that has been taken into consideration in the development of this device. With features such as XHide, fingerprint scanner, and PIN management, you can control how others access your confidential information. The XHide feature allows users to hide some of their apps, videos, music, pictures, messages and contacts thus preventing unauthorised access. The fingerprint scanner fortifies the security by uniquely identify the fingerprints you have provided while creating a fingerprint account on the device. With the combination of these features and other measures, the safety of your information, files and documents are ensured. The design of this device clearly allows users to operate the various positions on the screen using a hand's grasps. The 5.5 inches screen provides clear and suitable display sizes for browsing web pages, playing games and watching movies. Adding to this is the resolution of 1280 by 720. It is 152.6 millimetres long and 76.2 millimetres wide. It comes in various colours of Gold, Black, Blue, Green and Red. The processor of this device is built on the CORTEX with Quad-Core and a speed of 1.3 GHz. Coupled with the 2 GB RAM and other processes management features, the processor is able to harness operations in a faster manner. More to it the fact that unnecessary freezing of applications and the device is eradicated due to effective memory control. This device is built on Android 7 and runs with XOS Chameleon v2.2 OS that integrates top-class features for optimising and improving overall performance. Users get the quality they crave for. It provides an excellent interactive experience with innovative features such as custom themes, freezer, smart cleanup, and magazine wallpapers. A feat in the development of this OS is the ability to improve battery performance by 30% using available power management features. Are you need of space to store your files and documents? Then, this phone has the storage meant for you. The 16 Gigabytes ROM, which is equally expandable to 128 Gigabytes by means of an external Micro Card, presents optimum storage capacity to hold some of your important files such as pictures, videos, music, apps, graphics, etc. The 2 Gigabytes RAM improves the speed of the central processing and supports it to speed up processing needs. With that, the delay is never a word! Jumia offers | Konga offers. This is indeed a hot product you will love to have. If you have the taste for good pictures, high definition videos, long talking hours, improved security, and social media, then this device will meet your needs. Check offers here: Jumia offers | Konga offers. Nice review on Infinix Hot 4 Lite Specifications Thanks for sharing.